I know where I was...at home, battling an insane flu bug...and praying. You see, Joanna had left for Haiti almost 2 months prior to this date on what would be her longest trip to Haiti yet - 70 days. She has a heart of gold this one...And our world is a better place because of this wonderful woman. On this day, January 12, 2010...her life was forever changed. An earthquake that measured 7.0 rocked the people of Haiti...and rocked Joanna. An act of God had her staying somewhere else on this day, and even though the guesthouse that she had been staying in night after night after night had collapsed to the ground, neither she nor her friends were hurt. By January 24 at least 52 aftershocks measuring 4.5 or greater had been recorded. The Haitian government reported that an estimated 230,000 people died, 300,000 were injured and 1,000,000 made homeless. 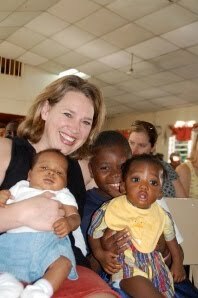 Here we are a year later - Joanna has recently returned to Haiti (again) and is there right now, making a difference. Haitian artisans continue to turn raw materials like recycled oil drums, wrought iron, paper mache and stone into art that embodies their rich culture and history. These traditional, hand crafted treasures provide life saving income to the shattered communities they call home. Blase - the maker of these particular bowls, has been an artisan for 23 years. 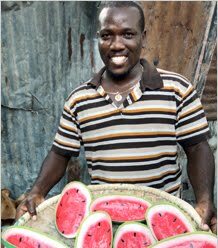 Proceeds from Heart of Haiti purchases help provide better nutrition, improved eduction, and healthcare - life changing resources for the artisans and their families. Won't you consider making a purchase of one of the beautiful items that will enrich your home & life, which in turn, enriches the lives of those who are perhaps not as fortunate as we are? LOVE this! How are you? Hope you are staying warm!